GE’s Multilin G500, a member of the advanced Multi-function Controller Platform (MCP), offers a high capacity, secure, future-proof, and substation-hardened set of modular and scalable hardware and software components designed to simplify the deployment, operation and maintenance of automation systems. 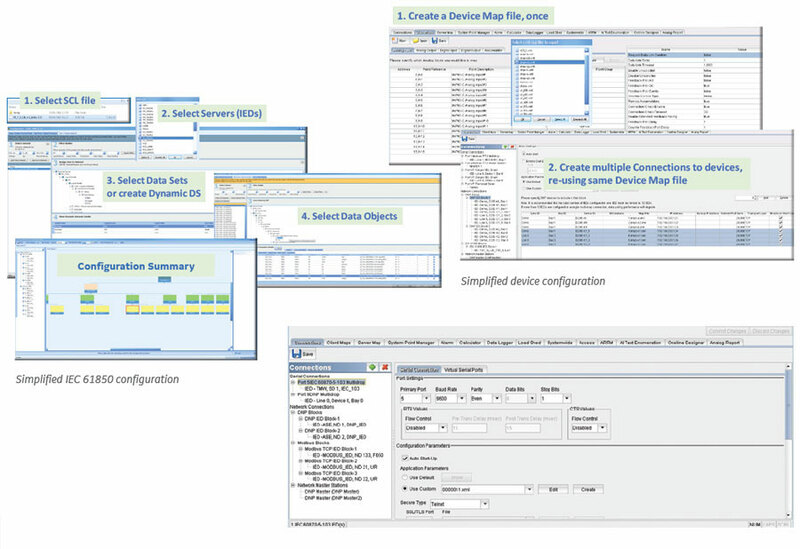 This advanced hardware platform makes it it possible for a single device to host multiple functions and applications such as Supervisory Control and Data Acquisition (SCADA) Concentrator, Remote terminal Unit (RTU), Human Machine Interface (HMI), advanced cyber security features, and non-operational data storage. By these functions, substation operators can reduce the cost of deployment and operation while increasing system reliability through a reduced number of devices in the system. The G500 is designed to provide a reliable and accurate collection of data (metering, status, events and faults) from serial or LAN-based intelligent substation devices to master applications such as SCADA, EMS, DMS, DCS or other enterprise applications. With its modern and robust cyber security features, the G500 is designed for smooth integration into NERC CIP and Cyber Security environments while consolidating functions such as Ethernet communications, time synchronization, HMI and SCADA applications. 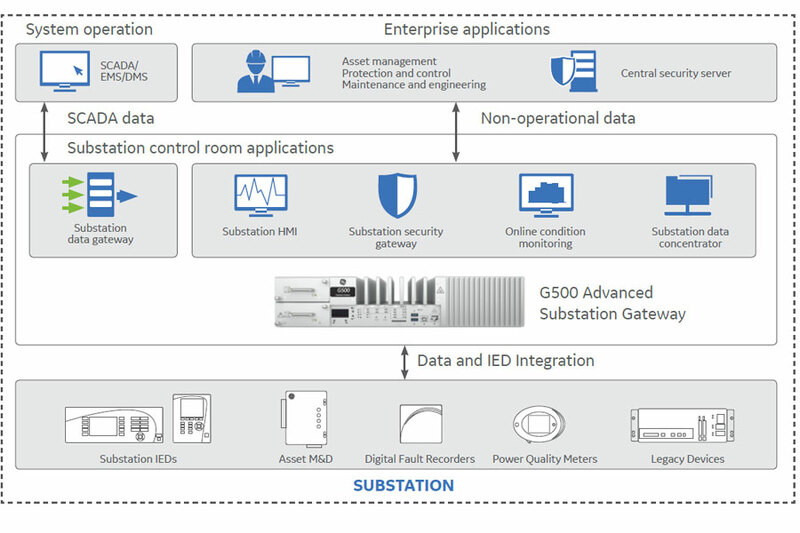 The G500 collects data from substation protection, control, monitoring, RTU, and intelligent devices, pre-processes the data and moves it up to EMS and DMS SCADA systems providing centralized substation management. 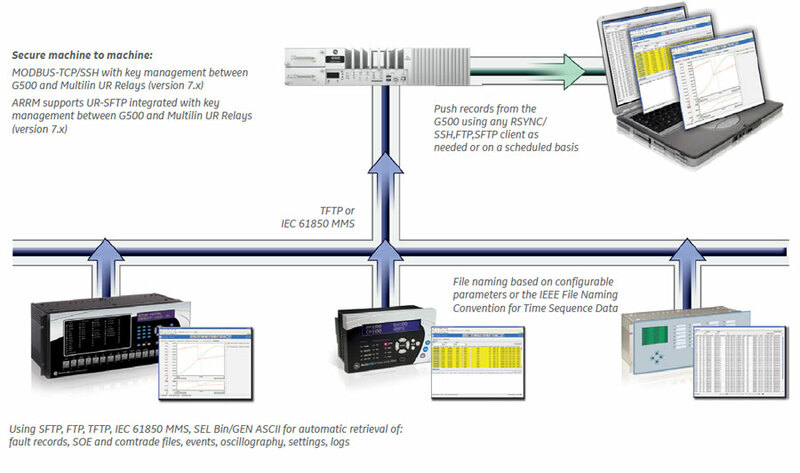 Using pass-through connections, users can extract valuable non-operational data such as digital fault records (DFR), event and oscillography files. The user can also access the historical log files and upload the archived data for trending and analysis. The G500 file retrieval capability allows system event information to be collected and viewed using a web-based trend viewer. Besides being able to operate as a standalone G500 unit, the G500 can be configured to operate in a redundant mode. 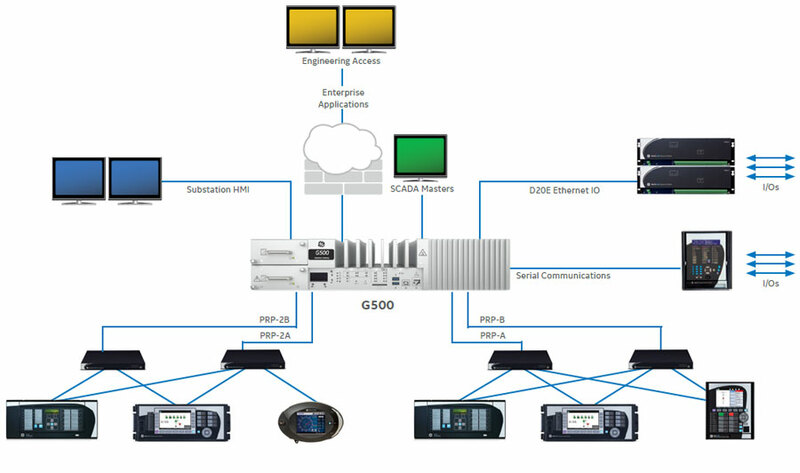 To improve the reliability of data collected from devices and transmitted to the master stations,Dual G500 can be deployed to create an active and standby (back-up) system.While only one G500 is active at a time, both the active and standby G500 units are constantly in sync. Through the monitoring of the system health between the two units, the standby unit automatically takes over when the active unit goes down. 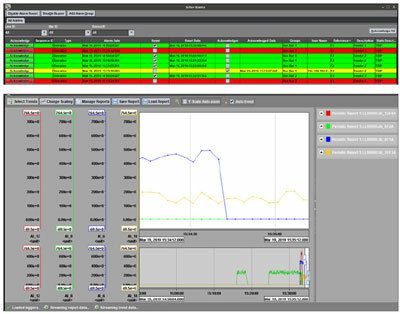 Substation LAN redundancy has been traditionally accomplished by reconfiguring the active network topology in case of failure. Regardless of the type of LAN architecture (tree, mesh, etc. ), reconfiguring the active LAN requires time to switchover, during which the LAN is unavailable. Parallel Redundancy Protocol is an IEC 62439-3 data communication network standard which is often used to overcome single network failure without affecting the data transmission. PRP is independent of the communication protocols and provides no packet loss (“zero recovery time”) availability by using connected nodes which transmit and receive over two independent network active paths. Under PRP, each network node has two Ethernet ports attached to two different local area networks, using standard bridges, and similar topology. G500 provides robust security environment, providing seamless integration with existing IT department policies. Role based Access Control, Secure Web Interface, Secure File Transfer, and extensive user activity logging provide a complete security toolkit required to achieve NERC-CIP compliance. The DS Agile Studio (DSAS) is an industry leading software toolset that simplifies every aspect of using Substation Automation products. 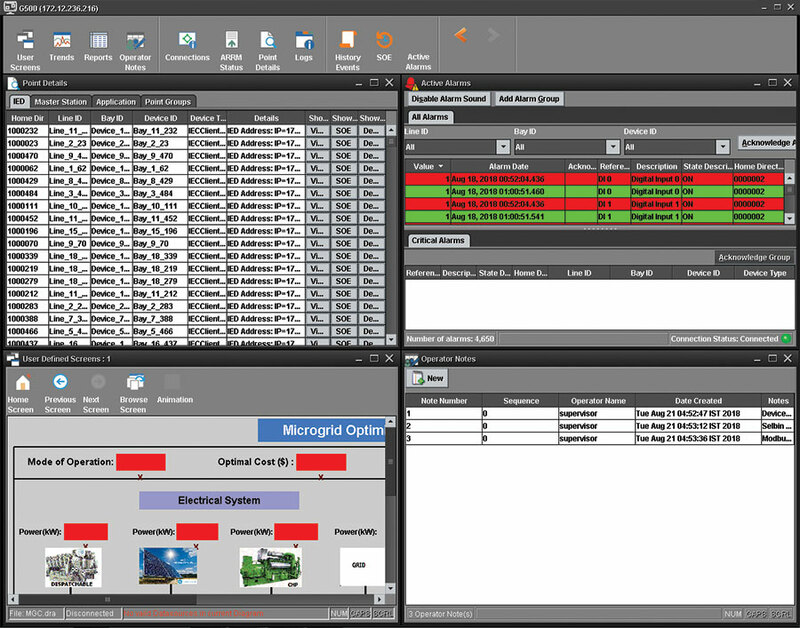 DS Agile Studio integrates support for the complete portfolio of GE’s Substation Controllers with optimized performance and support for SGConfig workflow for simplified migration of the existing installations.